Sukut Dental has been providing quality dental care for patients in Costa Mesa since 1971. With more than fifty years of combined clinical experience, Dr. Sukut and Dr. Karly are a formidable team! Their dental partnership is based on their shared love of dentistry and a mutual respect for their individual strengths and their special bond as a father/daughter team is reflected throughout the office, which is naturally warm and family friendly. 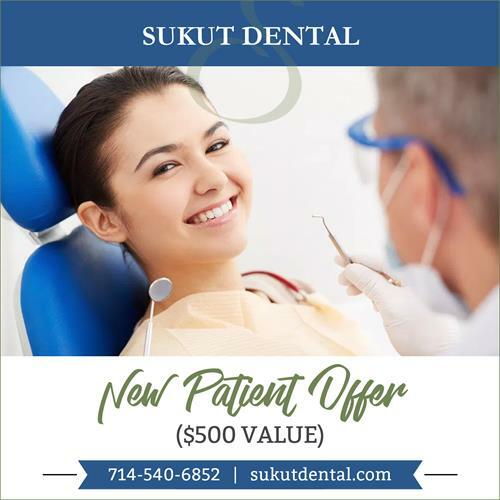 We are delighted to welcome our patients into the Sukut Dental family! Dental office providing quality dental care in Costa Mesa. Cosmetic Dentistry, Laser Dentistry, Periodontics, Oral and Maxillofacial Surgery, Restorations, Orthodontics, Implants. 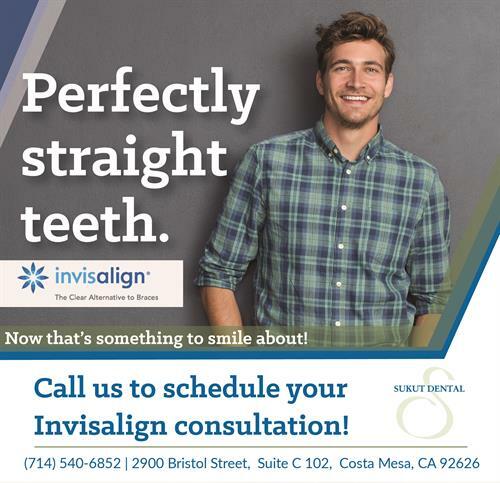 Make your appointment for your Invisalign consultation today!